The world of online sales is a multi-trillion dollar industry, encompassing a huge portion of most developed nations’ economies. As more and more people turn to the internet for their products and services, businesses and brands across all industries are seeking to cash in on the action. The most obvious benefactors from this trend are traditional stores providing products to consumers, but service providers have also found great value in this emerging trend. Even online brands that do not consider the sale of products or services their primary objective have found the concept to be very helpful in a variety of ways. Today, let’s look at how e-commerce can be beneficial to all brands – even those that don’t focus on sales. Irrespective of your brand’s primary focus, finding viable and relevant products and services to provide alongside that mission can be a great way to generate passive income. With more people blocking ads than ever before, passive income generation for online brands is difficult. There are a plethora of unique ideas that brands are using to generate revenue. From loyalty pledges and monthly subscriptions to branded apparel, your store – while maybe not a revenue powerhouse – can be easily setup and can help deliver some padding to your bottom line. By pinging servers with a variety of offerings, you may just discover that there is more demand for premium products and services than you realized. Virtually any business or brand can easily setup an e-commerce presence that integrates within their existing website or online presence. With many unique options available as both stand-alone and plugin-based solutions, adding a new store to your existing WordPress website or comparable platform has never been easier. With drag-and-drop interfaces, easy integration to existing payment solutions and a variety of product/service customizations, you can create an inventory of items and services in relatively no time. This makes the e-commerce experience very appealing to brands that may have considered online sales in the past but that thought the process would be too difficult. We all know that the more content a website has, the more likely it is to rank well in various related search results. By including an online store that offers items and services relevant to your brand, you’re creating more opportunities for content that’ll be relevant in targeted search results. At the same time, an online store can help build synergy between various keywords and your brand as a whole: one of your products might rank well in search for a particular query somebody executes, with them finding that your site offers a whole lot more related to the niche. As more people turn to the internet for their shopping needs, having an online store-front makes sense. Even if your brand isn’t designed to be a profit-earning enterprise, an e-commerce platform can help generate passive revenue within your loyal audience and improve search engine prominence by pinging servers with content – and it’s easier to do than ever. 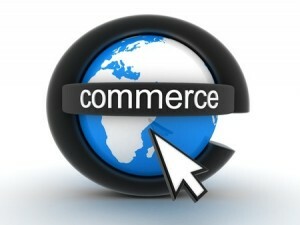 Why Choose WooCommerce for Your E-commerce Store? « How Many Words Is Enough for SEO?